Consumer motoring magazine WhatCar? says that new research based on a survey of 9000 motorists points to a lack of understanding which is stopping drivers from buying electric cars. However, whatcar.com traffic data also suggests that public interest in EVs is at record levels. 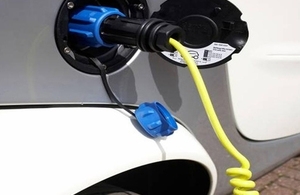 The new research which was carried out over three months asked motorists to rate their own understanding of electric vehicles as they researched the technology. Buyers rated their initial knowledge at an average of 2.7 out of five during the first 10 days, rising to 3.4 after 10 days of research. However, understanding fell to 3.3 after a month of research, which What Car? says is because respondents came across confusing or conflicting information. After three months, the average understanding peaked at 3.8; the same figure that motorists came up with when asked what their initial knowledge of ICE vehicles was. What Car? says this means that it takes, on average, a consumer three months to obtain the same level of information to close the ‘knowledge gap’ with petrol or diesel vehicles. The research also found that the cost of EVs and not their range is the biggest barrier for buyers. 'Range anxiety' was the second-biggest concern, with 28% put off by the reduced range compared with petrol and diesel. Despite concerns about range and cost, the What Car? What Fuel? comparison tool, with 80,000 users, found that EVs are already an optimal choice for one in 10 drivers. The LowCVP is actively working with the Department for Transport and stakeholder organisations to help drivers better understand the rapidly changing UK car market, the fuel and technology choices now open to them and the new environmental policies and regulations being introduced. This is being coordinated through a new Road Transport Emissions Advisory Group (RTEAG) that brings government, industry and consumer groups together to develop and disseminate clear, consistent messaging and advice that empowers consumers with the knowledge and confidence they need to make their next motoring choice.